Posted December 19, 2015 by Rob Smedley & filed under Episodes. We’ve now had some Time and breathing Space to re-watch (and re-re-watch) and ponder on this year’s Doctor Who finale, ‘Hell Bent’. Frankly it was needed. An immediate reaction would likely have been 50% dribbling. This review will probably only be 15-20% dribbling. Season 9’s first episode, ‘The Magician’s Apprentice’, was the stuff that fan-fiction and lunchtime games in the playground are made of: big, bombastic, baddie-filled, and fizzing with such imagination that, as you were watching, there was the nagging worry/wonder how the finale could possibly one-up it. And if ‘Hell Bent’ doesn’t one-up then it certainly matches the opener’s scope and energy, which is enough to earn it a good wodge of praise. The Doctor’s punched his way back to glorious, gorgeous Gallifrey, shown in more detail than ever before (though I do miss ‘The Deadly Assassin’s plasticky Panopticon…) and returned to his familiar barn, which by now has become the Time Lord’s equivalent of a treehouse for him to hide out in and quietly fume. And as he stews and eats soup, and suits up in a familiar black frock coat, you can infer as much about The Doctor’s family and soup preference as you like. See? Look at me, dribbling and inferring away like an idiot. Moffat really knows how to stoke the speculative fires of forums and fan theories, and also how to drop in enough references and tidbits to keep us talking. 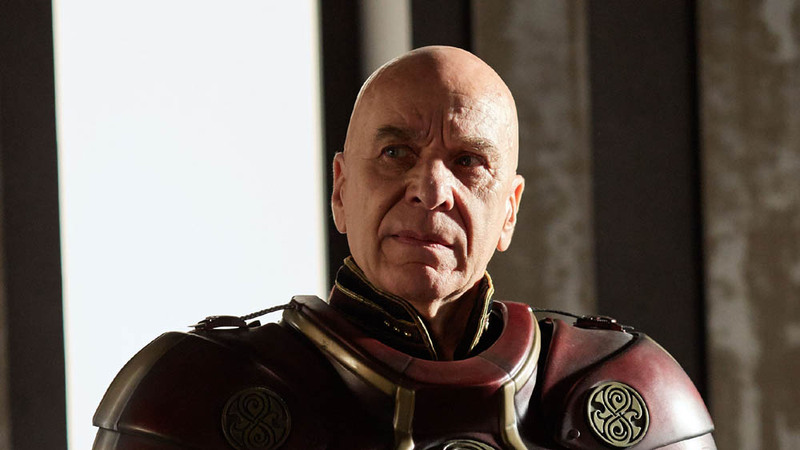 Yet for all its bells and whistles, all its talk of Skull Moon and Cloister Wars, all the ancient unspoken mythology that you sense whenever you see Gallifrey, it’s actually an incredibly simple, straightforward story. 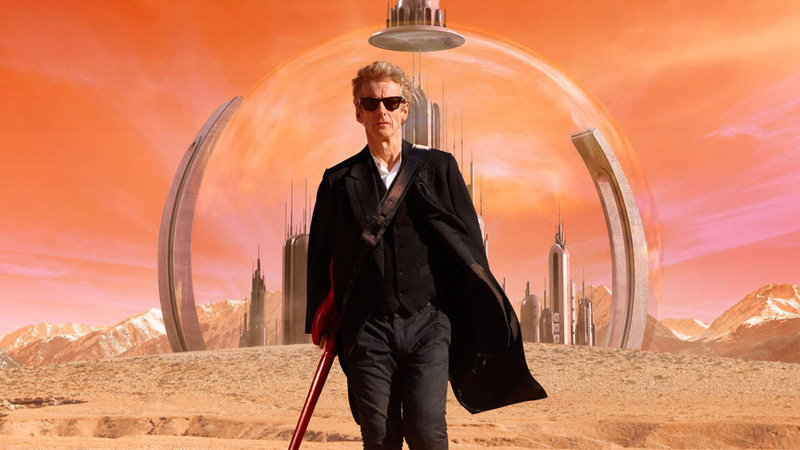 The Doctor is on Gallifrey, he ‘rescues’ Clara, he runs off, he and Clara part ways. There’s no planet to save, no invading enemy, no one plotting the premature end of the universe. There’s not even really an enemy to overcome in the traditional sense; the Time Lords are hapless, their threats completely hollow. No, the big threat to The Doctor is himself. In Season 8’s finale he realised he’s ‘a good man’. Now he’s taking trying to do the right thing – saving Clara as part of his oft-mentioned ‘duty of care’ – too far. To a point so damaging that he himself is the one threatening the stability of the universe. He’s the one pointing a weapon and firing, giving us a cool regeneration in the process. Between Missy and the General, if groundwork for a female Doctor isn’t being laid, then we’re at least being told the ground definitely exists. Having tricked the Time Lords into extracting Clara from the moment before she gets hit by that pesky raven and dies, The Doctor does what The Doctor does best – he grabs the hand of someone he loves and runs away from Gallifrey. It’s him and Susan all over again. I said it was an incredibly straightforward story, and it is, but Moffat fails to stick the landing when it comes to one of its most vital parts: The Hybrid. Season 9’s not-so-great mystery may be the weakest story arc since the show came back. It’s a confused ending for an arc which only rumbled on through Capaldi staring into middle-distance and muttering ‘…like a Hybrid…’ every so often. The problem is that ‘the Hybrid’ was only ever conjecture and portent, right from when Davros cackled about it, and it continues to be so. It’s a purely theoretical threat, all the talk around it purely speculative and mythological right to the end. When Ashildr appears you wonder if it might be her, but no. The Doctor is the Hybrid, or on the trajectory to become the Hybrid: a Time Lord who’ll do irrational, shooty-violent, distinctly Human things, in order to save a companion who has become far too much like him. It should be scary, seeing a Saturday night hero like that, but it’s not even close to the fearful recklessness of Ten’s ‘Time Lord victorious’ in ‘The Waters of Mars’. If the Hybrid is the reason The Doctor ran from Gallifrey, it should be something terrifying, rather than a vague existential concept. Not that it matters in the end. This is Doctor Who and however far you go the reset button always gets pushed. Literally here. One of them has to forget the other to make sure the Time Lords don’t nab Clara (Time Lords – they can move a planet but can’t track a TARDIS). It’s a reverse-take on The Doctor and Donna’s parting, though far less emotional, maybe because ‘Face the Raven’ wrung the actual emotions over Clara’s departure out of us. 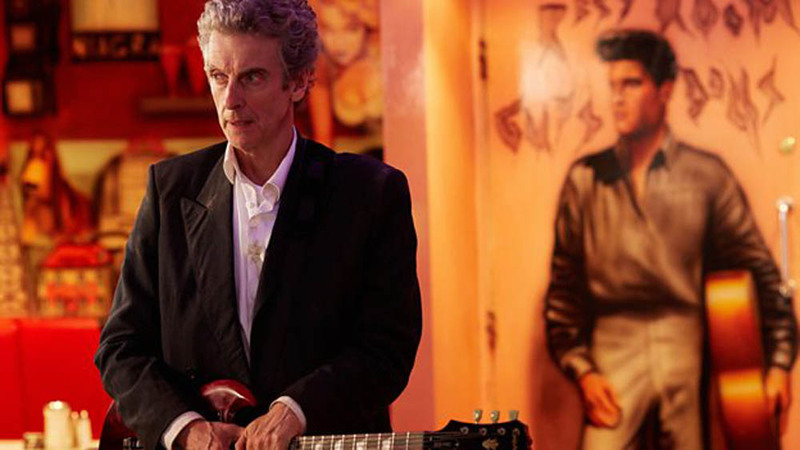 As for undead Clara, she’s off with immortal Ashildr, staving off the raven by rocking and rolling around the universe in a 1950s American Diner. She’s become the Doctor-ish adventurer that Season 9 set her up to be. It’s bonkers, preposterous, and in any other show you’d think a shark had just been jumped, but this is a show about a man who travels through time in a phone box. How can you out-do the preposterous when we’ve become so used to it? And how can you out-do what we’ve seen here? There’s the distinct impression that ‘Hell Bent’ was written as Moffat’s swansong episode, leaving The Doctor with fresh purpose, best coat, new sonic (and he’s admitted that River is coming back this Christmas because he originally thought 2015 would be his final year on the show). But now he’s signed on for Season 10, he’s unintentionally set himself the challenge of matching what he’s done here. I’d be worried, were it not for the fact that ‘Hell Bent’ proves that, however ambitious Doctor Who gets, there’s always room to exceed expectations. Just let them be a little clearer next time. Aired at 8pm on Saturday 5 December 2015 on BBC One. Wonderful end to a wonderful series. As much as I loved Matt’s first outing and it really was such a relief after being pommelled for four years to worship the God which Davies had made of Tennant to have an actor simply acting well in beautifully written Doctor Who, series 9 has elevated the show so that it can sit easily with the best written and acted show anywhere on television and in any genre. I will be shocked if Capaldi and Moffat aren’t festooned with awards in 2016 for their work this year which was truly revolutionary in its ambition and risk taking. It’s also nice to see that critics of Moffat have been so blindsided by the success of series 9 and that his well of creativity still runs so deep. 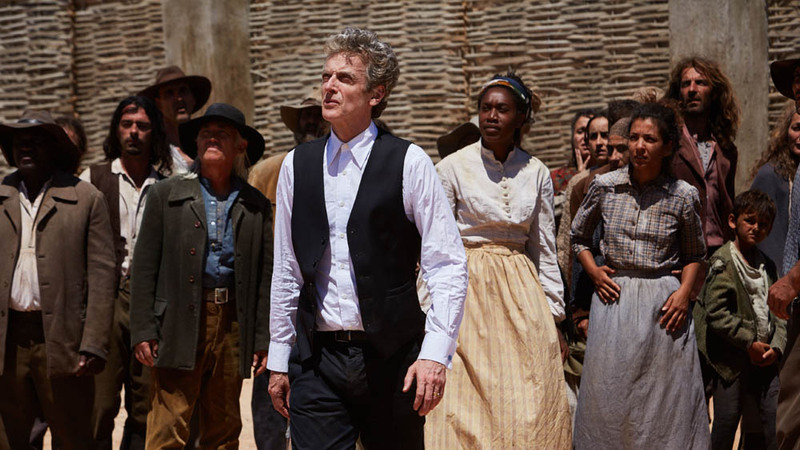 Series 10 with at least 2 jaw dropping new writers and Capaldi doing things in the role unthinkable for any other actor in the part to date is looking to really make history. Ok…I can understand the disdain for the Sonic Shades, but the guitar? I think it works with the Doctor a bit better now. He’s not as curmudgeonly as he was in series 8 and acts like that old, rocker grandfather/uncle you’d like to hang out with. Five full stars from me. I thought this worked out beautifully. 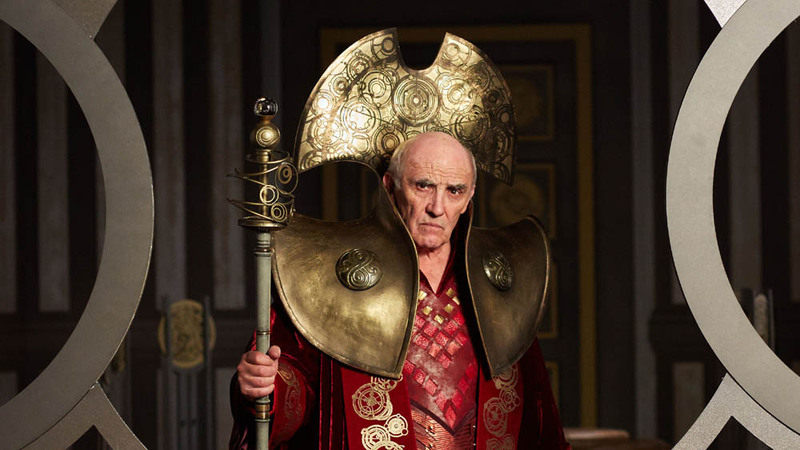 The whole point of curtailing the Gallifrey aspects was to keep as much as possible left to our imaginations and to get a clean slate by exiling Rassilon and the council. A typically clever bait and switch by Moffat in absolutely masterly fashion. 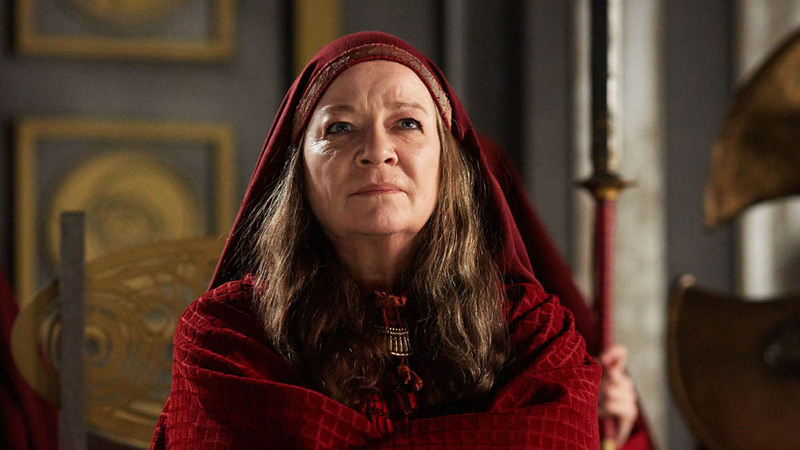 We got some excellent additional lore about Gallifrey during the episode though – the cloister wraiths and confirmation that regeneration is race and gender fluid which the next showrunner will be free to use or ignore, just as Moffat has changed the dull dead hand of RTD’s take during his time. The episode though was all ultimately about loss, regret, memory and second chances and that was carried off so beautifully. It goes without saying that Capaldi and Coleman once again delivered peerless performances so far above the capabilities of their predecessors that there is an entire universe of difference in quality but Maisie Williams was also outstanding. She wonderfully conveyed the ennui of immortality. Sending Clara – no longer the apprentice – off into space with Ashildr was a genius move and again leaves things open for Moffat’s successor as well as Big Finish. I can see a BF or comic series featuring the two of them and their adventures as being another worthy spin off. As you can see, I could rave on further about how completely satisfying both this finale as well as the entire series has been. For me, Capaldi is the complete goods as far as the Doctor goes and a blessed relief from the last two who were peas in a pod – young blokes with interesting hair chatting up young girls in London housing estates who prattled nonsense while waving their sonic screwdrivers. We now have an actual adult in the role who is also a proper actor. Capaldi wonderfully channels the great doctors like Hartnell, Tom Baker and Jon Pertwee but brings his own style as well. I flippin’ love the sonic sunglasses and the guitar too. I know people have been prattling on about some loss of viewers at the end of last year, but the show still remains compulsory viewing for 7-8 million each week in the UK (including those who no longer watch on tele on the night) and apparently increasing numbers in overseas markets. The loss from last year is due mainly to the terrible job the BBC did in publicising the start of this series and their failure to then promote it properly once it kicked off as well as being on far too late for most children, so hopefully the short break we are likely to get in 2016 will allow some more interest to build and with two new exciting big name writers already on board in addition to the fabulous new talent this year and a new companion to boot, no reason why those viewers can’t be brought back. A change in time and returning it to a spring start should also help. I do feel sorry for those who didn’t switch on this year as they have missed the best series since 2005 by a long chalk and one which both classic and new Who fans have adored. Meanwhile, several weeks after Missy was shot by Cyber-Brigadeer she has been repairing and re-powering up the Nethersphere. She has been going all over time to get inmates. So there’s a fabulous spin-off series, akin to ‘Old Harry’s game’, an endless supply of characters. Eventually, Clara will end up there, re-united with Danny. ‘Osgood’, the Zygon that Missy killed will be there. What could be Missy’s new plan for converting the Nethersphere inmates into? Full marls from me. Not the finale we expected but exactly the finale we needed. Jenna gets a good farewell and Peter gets to give us an acting masterclass (again). The slate is fully wiped clean for series ten and that’s good news. She already had a great farewell, when she was killed! Why are you commenting on an article that’s a year old? It was on my Facebook feed! A majestic finale full of rich ideas and themes crowning Steven Moffat’s magnificent year. It was great to see such a wholy successful, uncompromising and intelligent series end up in triumph. If anyone is struggling with just how clever and well constructed thematically this series has been, I highly recommend Phil Sandifer’s blog which seems to be able to get into the head of Steven Moffat and make sense of his genius to us mere mortals. Loved this series so much and that it is so deep and profound. Second Phil Sandifer’s blog. Always a great read and helpful to get clarity around some of the really deep and profound stuff. He does seem to understand how Moffat’s mind works. I bow down to Moffat’s genius but sometimes I simply can’t pick up all of his clever allusions and call backs and how his themes are so wonderfully threaded. The blog shines a lot of light in that regard. I loved this closing trilogy, which was at its heart a love story. Interpret that word how you like, it was a love story. He punched through a diamond wall for 4.5 Billion years to save Clara. That’s epic love poem material right there. I loved the fact that after a decade of waiting the return to Gallifrey was simple and facilitated by, once again, the Doctor trying to help the woman he loved. We’ve seen that before: he burned up a sun just to say goodbye Rose. And she didn’t die screaming in agony in front of his eyes. I personally feel the hybrid question WAS answered: the Doctor is the hybrid because Moffat has said the half-human statement in the 1996 TV movie is canon. And it was made obvious throughout. Alternately, we also hear the Doctor say “does it matter?” and that could apply to the hybrid question too. It could be seen as a theme, rather than as an arc. The best thing is contrary to your review, no reset button was pushed. The Doctor DOES remember Clara, or at least what they did together, and he knows her name and now he knows her face. So the lessons learned are still there. What he doesn’t remember, and this is key, is the parts that made him fall in love with her and spend most of the last season in a state of anticipatory grief over her future loss, which led to him snapping when it finally happened. I do hope – and demand, as a fan – that this isn’t the last we see of Clara. Whether in a novel, an audio drama, a “return of Clara” two-parter or even the inevitable cameo during Capaldi’s final story, I’d like to find out what happens to her now. Me/Ashildr suggests that it could be not one person but two. Therefore if both the Doctor and Clara were together the hybrid then they really are the destructive monster that was prophesied – since the doctor was prepared to wreck ‘time itself’, as the General put it, in order to bring Clara back to him. The momentary mention of Missy was, I thought, the Doctor realising that she had had the last laugh on him, bringing him and Clara together (‘then there’s a woman out there who’s very keen we stay together’) in order to create the most devastating weapon in the universe. Yet god/Moffat knows how Missy could have foreseen that working out. Regardless, this could add another reason to the necessity of either the Doctor or Clara forgetting the other, since for as long as their pairing was a thing, the universe would continue to be subjected to their inherently ruinous volatility. Fair points, though I can’t see how the next episode in which Missy returns (and she’ll be back, of course) will be able to avoid the Clara question. It’s going to be a TARDIS-sized elephant in the room, but maybe we’ll get more insight into Missy’s initial motivation for pairing the two together. Does anybody notice that the stolen TARDIS in “Hell Bent” looks exactly like the inside of the 2 Doctor’s TARDIS? Its actually the prop used in An Adventure in Space and Time! So – did the Tennant Doctor keep the green blinky thing with River’s soul in it all the way through two regenerations just so that he could finally think of putting it into a screwdriver to give to her ? How would her data ghost/digitised soul have lasted that long, and why not just use the green blinky thing AT THAT MOMENT? Why put it into a screwdriver in the future at all ? This is where the whole thing finally falls down for me. I feel a bit let down that there wasn’t at least a bit of an explanation for this. Rassilon goes off in a sulk! What a load of rubbish! Fans were grateful, and tearful, when Clara died. Only for Moffat to bring her back. That is pathetic writing!